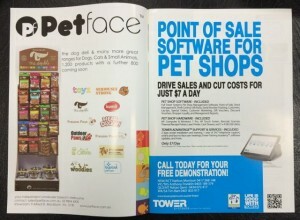 Pet Shop software features in pet industry magazine | Tower Blog | A blog about smart POS software for independent small businesses. 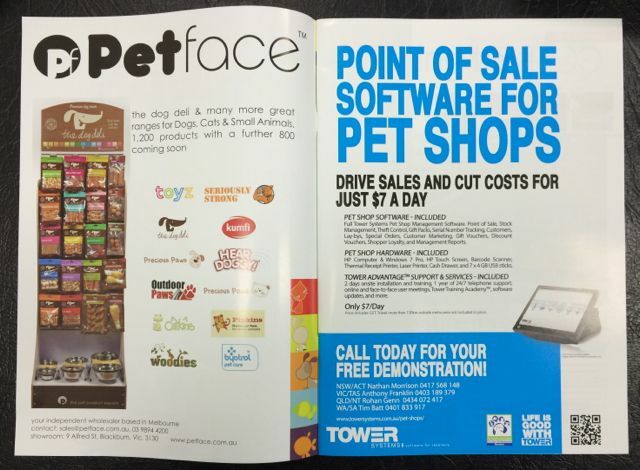 As part of our sponsorship and support of the pet industry association, the Tower Systems Pet Shop software is featuring in their latest magazine, just out this week. We have an ad on page 3, the best position in the magazine. This latest ad, our participating at their national trade show, work with several key pet suppliers and other recent engagement have cemented a strong position for Tower Systems within the pet industry. This latest ad represents the professional and consistent approach we are taking to the pet shop software opportunity.